It is important to provide a sense of sharing and recognition to those not as fortunate, and Bear Givers is proud to offer special programs that enable young people to perform charitable acts and give back as part of coming-of-age celebrations such as Bar and Bat Mitzvahs, Confirmations, and Sweet Sixteen parties. With the Bear Givers Milestone Celebration Program, the young guest of honor will donate teddy bears to an organization of his or her choosing. This might be a hospital, a school, a senior citizen residence, families of military personnel, or any organization of the young person’s choice in the U.S. or abroad. 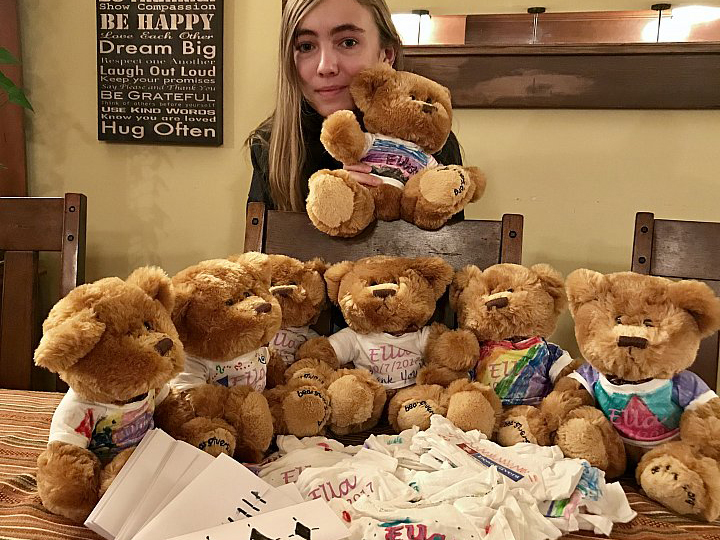 The family of the young person will make a donation to Bear Givers and receive enough teddy bears to be donated to the selected organization and given as party favors to the participating young guests. 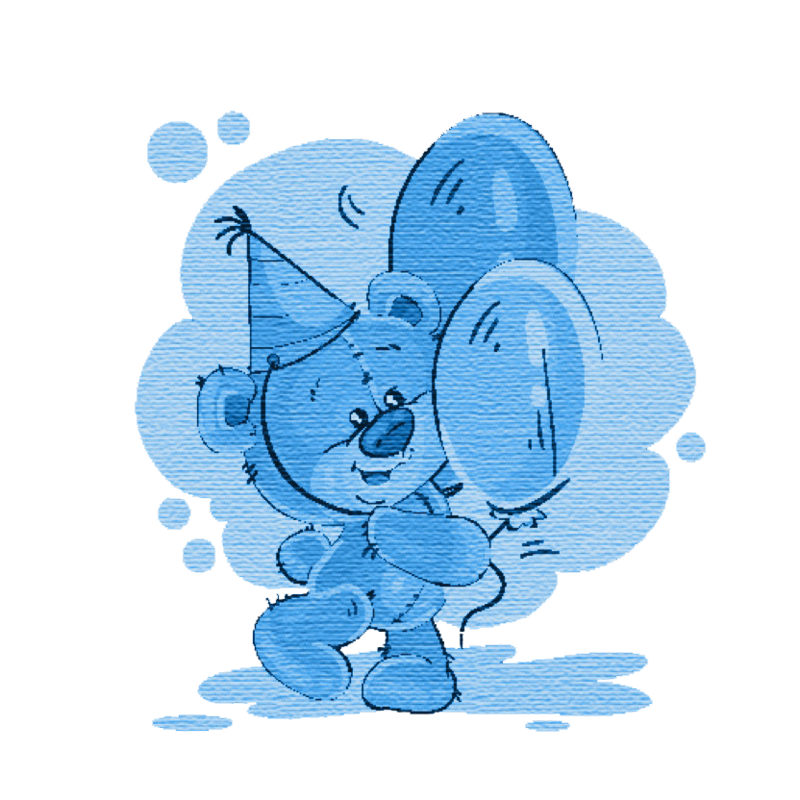 The teddy bears wear the t- shirts that can be customized to feature the guest of honor’s logo, or name and celebration date. The t-shirts, along with personalized notecards, can be decorated by the guest of honor and friends during the special event. personalized notes or ship them to the designated organization. Either way, it is made clear to each and every participant that they will be providing joy and comfort to someone in need who will benefit greatly from a welcome and unexpected gift. Teddy Bears wearing personalized T-shirts are provided for the special event. The name of the guest of honor and the date are printed on the T-shirts, to make each event unique and memorable. The participating guests each prepare a bear and a note card to give away to the guest of honor’s chosen charity. The note card is also personalized, and the guests are encouraged to decorate them and to write appropriate well-wishing messages. A Bear Givers representative will facilitate the program, and be available for help and guidance throughout. The program can be customized to suit the needs of the individual – we can include art supplies to decorate the T-shirts and the note cards if desired, and we can also provide a certificate of accomplishment to teachers or clergy members. There will be enough bears for each participating young guest to take one home as a party favor. The guest of honor chooses an organization to which Teddy Bears and accompanying note cards will be donated. This could be a hospital, a home for the elderly, or any charitable organization they feel a particular connection to. The guest of honor can choose to personally deliver the bears at a convenient time, or to ship them further.